From Longboard downhill to freeride wheels, everything you need is right here! The new Abec 11 HD Wheel Series is a Game Changer. The goal was to take Reflex Formula BigZigs, increase the roll-speed, traction and control, and to smooth out the slides. Reflex BigZigs are one of the most recognised longboard wheels in the skateboard industry. So many races from have been won on Reflex ZigZags and BigZigs over the years. Whether you want to be a top competitor or just wanting fantastic all-around longboard wheels … you’ll appreciate the amazing ride. Extremely smooth, fast and grippy, even on rough surfaces. ABEC 11’s Reflex Formula Means Balls to the Wall Traction More racers choose our Reflex Formula for traction above all else. 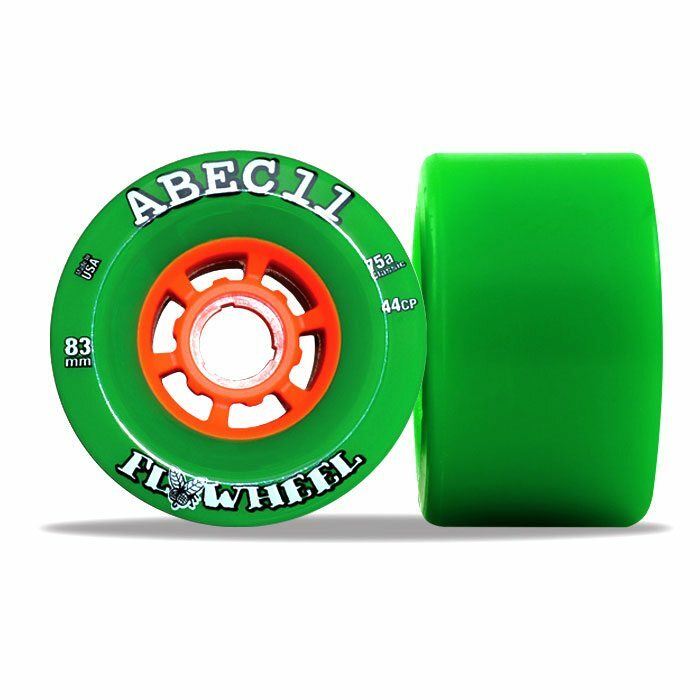 Nothing is as fast, nothing lasts longer, and nothing sticks better than Abec 11’s Reflex Formula urethane. Reflex formula wheels such as our ZigZags, BigZigs and Centrax come in different sizes and durometers, and Abec 11 is the only company to give skaters this freedom of choice. Since the year 2000 all of our wheels have been poured right here in Huntington Beach using our own proprietary formulas and molds. Choose Abec 11 and feel the difference that real wheels make! 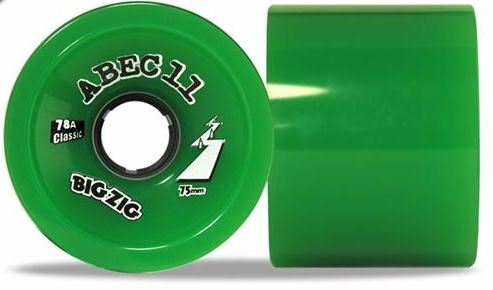 The Abec 11 Classic Thane BigZigs 75mm wheels are a big solid urethane wheel with a perfect aspect ratio. The highest level of traction and faster top end make a great downhill and Giant Slalom (GS) wheel. Also great for carving and cruising on larger boards. Extremely smooth, even on rough surfaces, it rolls over everything in its path. Same high traction and flexible lip shape now with our Abec 11 Classic Thane for smoother and more predictable slides. Great for pre-drifting technical courses, all around riding and freeriding once broken in. 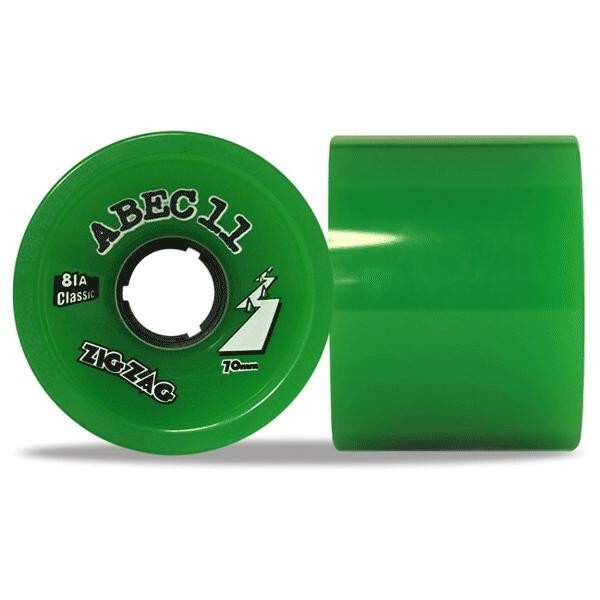 Abec 11 70’s Flashbacks 70mm Wheels can be used for Hybrid Slalom, GS and sliding with traction. Also great for carving and cruising on larger boards. Extremely smooth, even on rough surfaces. Abec 11 70’s Flashbacks 70mm Wheels will roll over everything in its path. Abec 11’s flagship wheel will smooth out even the roughest roads and the soft formula also helps to absorb shock and provide extra traction. Being centre-set means you can flip the wheel as it cones, and there is a lot of meat on these 83mm wheels before you reach the core. Using a ‘flywheel’ design, the idea is that the wheel has a higher roll speed and centrifugal force. If you a ride like a limousine, this is your wheel. The Grippins are a 70mm wheel Centreset on a 25mm hub. They are hard-edged, hour-glass shaped. Chris Chaput designed them for Hybrid and Tight Slalom, Buttboarding, Downhill, and a great overall cruising, craving longboarding wheel. They provide ultra high traction and are quick and smooth. Easy sliding wheels that are amazing for freeride! 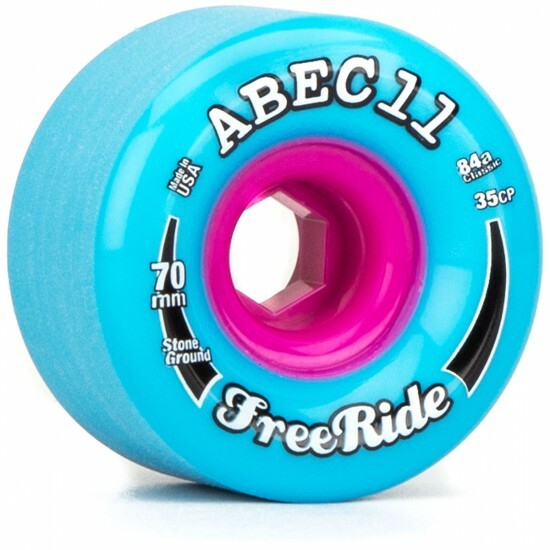 The Abec 11 ‘Retro’ FreeRide Reflex Formula 72mm x 80a Wheels, combine the best of the past, present and future in first-class urethane. The Retro Freeride 72mm Wheels are instant classy allround longboard wheels which are made for cruising, sliding, carving, dancing and downhill. Besides lots of speed and a smooth riding these wheels guarantee for predictable drifts and slides. Stand-up and pendulum slides as well as pre-drifts will no longer be problem with these wheels. Go Retro! The FreeRide name returns in a brand new size with a Stone Ground finish … and it’s ready to paint all your roads straight out of the wrapper. This new 70mm version is totally awesome! It will be your go to wheel for slide jams and downhill freeriding. No chatter, no bounces, this is ALL about smooth and predictable slides. Our high performance Classic Formula is the most consistent urethane on the planet and it will last all the way to the tiniest core. It features our wide “FreeRide Core” which provides extra support to keep the wheel amazingly stable while sliding. Get some today and paint Mega Huge Thane Lines all over the neighborhood. These wheels have 66mm and 69mm options so there’s something for everyone from city surfers, freestyle/dance riders, and hill bombers. These wheels feature new proprietary symmetrical shapes and a brand new formula, designed to slide smooth and consistent, as well as last longer than other slide wheels on the market! 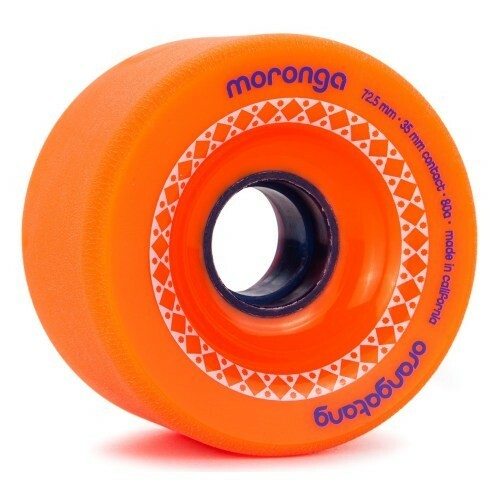 The Blood Orange Liam Morgan Pastel Pro Series Longboard Wheels have a duro of 84a and come in 65mm and 70mm. They feature a coral and blue core colourway, and slide as you would expect from the LMF formula, smooth and consistent. These bad boys leave nice thick thane lines, and feature that chalky kind of slide the earlier models were known for. Do yourself a favour and pick up a set of the new Pastel Morgans, you’ll be glad you did! The Blood Orange Liam Morgan Lavender 65mm x 82a Wheels are poured in the LMF formula leaving that perfect thane line for smooth high speed slides! The Blood Orange Liam Morgan Lavender 70mm x 82a Wheels are poured in the LMF formula leaving that perfect thane line for smooth high speed slides! The Blood Orange Liam Morgan Pastel Pro Series Longboard Wheels have a duro of 80a and come in 65mm and 70mm. They feature a seafoam and green core colourway, and slide as you would expect from the LMF formula, smooth and consistent. The Blood Orange Liam Morgan White 60mm x 82a Wheels are poured in the LMF formula leaving that perfect thane line for smooth high speed slides! The Blood Orange Liam Morgan White 70mm x 82a Wheels are poured in the LMF formula leaving that perfect thane line for smooth high speed slides! The Free Killers have come to innovate the concept of “Free-Speed”, in other words, fast freeride. These wheels are perfect for your everyday riding down your local hills, you won’t be afraid to bomb down your local run and have to throw a drift when necessary because these will provide total freedom to kick out slides at any time with extreme control and ease while giving you enough grip to take corners fast and get through them safely. They come in 73mm tall and a 51mm contact patch shape, with extremely rounded edges and a stone-ground finish which makes them ready for the smoothest slides right out of the package! !Available in the 75a and 77a on the PowerThane formula, which has more grip through turns and higher durability and in 80a FlowThane, which has a smoother slide and softer feel, with a sugary, more in the pavement feel.The great differential of this wheel is it’s durability. Unlike other wheels in this style, which are generally smaller and thinner, the Free Killers came to outlast countless sessions, so don’t be afraid to throw that giant slide that could end up destroying your wheel. Because these are made to last and blast!! Try them now, the Free Killers will take your freeriding to the next level with ease and precision!!! The Cuei Killers the wheel of choice for blasting down big mountain roads and hitting your favourite race circuits. The 75a Power Thane Formula (white) will have superior roll speed and unparalleled grip while being incredibly long lasting. They have been tested and proved to be the best wheels in the market after dominating the IDF Racing Tour for the past two years with Thiago Gomes Lessa being crowned 2x World Champion. The 77a Power Thane Formula (green) will have superior roll speed and unparalleled grip while being incredibly long lasting. With the 80a Red FlowThane Formule you’ll get an incredible smooth release and hookup on your slides, with nice thick thane lines (depending on the pavement you are riding). This is the perfect wheel for rougher roads and just a casual downhill session! The 80a Power Thane Formula (yellow) will have superior roll speed and unparalleled grip while being incredibly long lasting. They have been tested and proved to be the best wheels in the market after dominating the last two years of the IDF racing tour with Thiago Gomes Lessa being crowned 2x World Champion. The 82a Power Thane Formula (orange) will have superior roll speed and unparalleled grip while being incredibly long lasting. The Cuei Steeze are an amazing all around downhill/freeride wheel. They come in 70mm tall with a 38.5mm contact patch and an offset profile. With its rounded lips and stone ground finish this wheel is guaranteed to have a super smooth slide straight out of the package!! Available in two urethanes formulas, the 75a “Power Thane” (translucent yellow) which is long lasting and offers the perfect amount of slide/grip control. 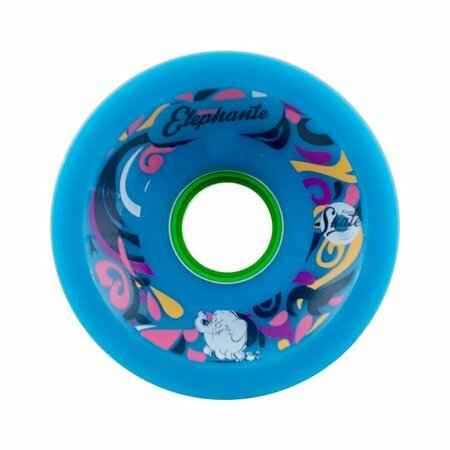 Face Skate Fast Elephante 72mm x 79a Wheels, by its nature, are aggressively fast and grippy race wheels. The Face Skate Fast Elephants are the choice of 2 times world champion Carlos Paixao! 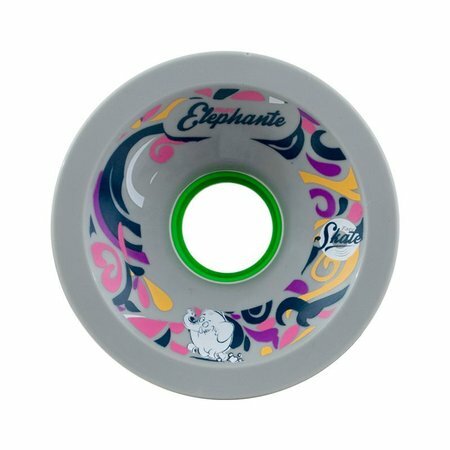 The Face Skate Fast Elephante 72mm x 81a Wheels, by its nature, is a aggressively fast and grippy race wheel. The Face Skate Fast Elephants are the choice of 2 times world champion Carlos Paixao! Face Skate Splashes have arrived in Australia! The pro model from Jonas Richter is perfect for all types of freeriding, with a big centreset core for maximum roll speed and control when sliding these are perfect for beginners and pros alike. Available in either 80a or 82a there is an option perfect for anyone. Wow, 70mm x 68mm wide. All the grip ever needed, but with the slide friendly urethane, you can still pull off chatterless pre-drifts at higher speeds! Hawgs have released their most aggressive downhill wheel to date, they`re the ideal combo of acceleration and traction. Biggie Hawgs provide great meaty width and are compatible with most top-mount and low-clearance set-ups. With our high-rebound formula, in 78a blue and 80a white, these will grip in the most demanding situations but will break out smooth for pre-drifts and check slides. A centre-set core with a symmetrical profile provides a consistent wear pattern and the ability to flip and rotate the wheels. Countless hours of prototyping and testing have resulted in a fine-tuned lip that offers maximum grip and speed. Biggie Hawgs are ready to dominate any mountain road you throw them at! Meet the bossest Hawgs in town. Stoneground and centerset, Boss Hawgs have a ridiculously smooth and predictable slide while leaving lines of pure, unsalted butter. Stoneground and centerset, Boss Hawgs have a ridiculously smooth and predictable slide. The wide FSU core distributes your weight evently across the surface of the wheel ensuring a consistent wear. If you want a wheel that is solid right down to the core, then it’s time for the Boss Hawgs! These lime green Chubbies are a 60mm x 78a cruising dream! 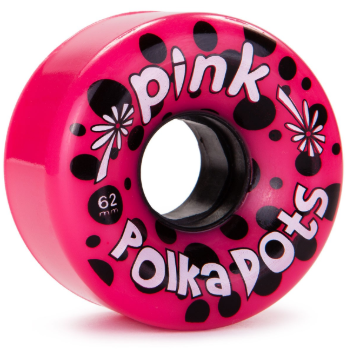 These soft smooth wheels accommodate cruisers and full size longboards. These Red Chubbies are a 60mm x 78a cruising dream! 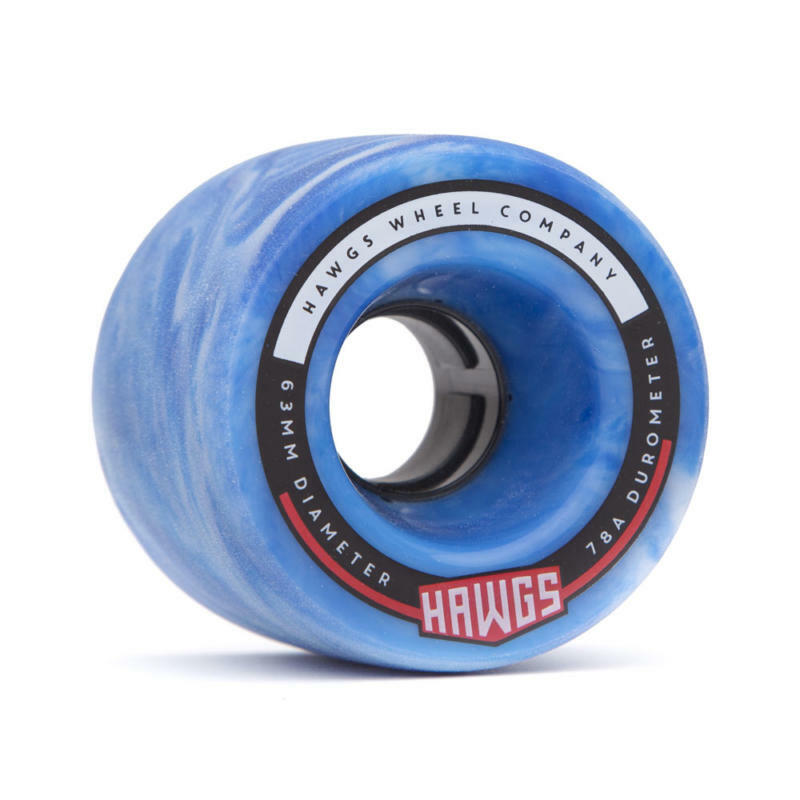 Hawgs are excited to add the Hawgs Dawg Pro 70mm x 80a Wheels to their 2016 Line-up. Aussie Aussie Aussie – go Yatedawg! Designed and extensively tested for over two years, the Hawgs team couldn’t be more stoked to see this ultimate, lipped freeride wheel available for shredders everywhere. Most importantly, whether cruising, carving, racing or freeriding, this wheel has got it covered! Fatty Hawgs come broken in with fat rounded lips and gushy urethane, meaning you’ve got a wide and small freeride wheel. This lends itself perfectly to speed killing slides, dropping thane lines and a nice controllable ride. If you have a deck with wheel bite problems, check out these bad boys! Fatty Hawgs are awesome for any type of riding. Available in 3 durometers to suit any riding style or terrain; the Hawgs Mini Zombie features a stone-ground finish and an offset core, resulting in a smooth slide and predictable hook-up. So, if going fast and doing slides is your thing, or you’re just carving the hills, the Mini Zombie will provide you with the most enjoyable ride. The Hawgs Mini Zombie features a stone-ground finish and an offset core, resulting in a smooth slide and predictable hook-up. Hawgs has mad a fun and compact performance wheel with the ROCKET HAWGS. 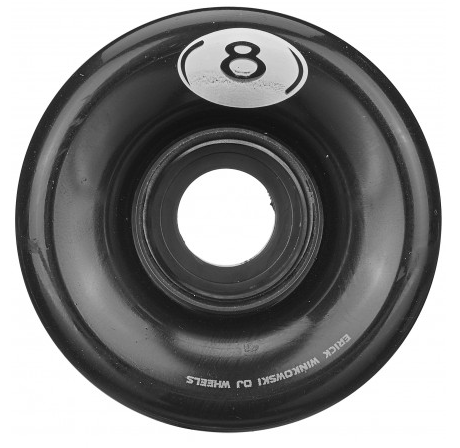 This wheel is 63mm tall and features a very wide and supportive core that will help stabilize the surrounding urethane. This wheel will have great roll speed for its size, and will be very controllable for stand-up slides, and slashes due to the small size but proportionally large contact patch that is around 50mm. Hawgs has mad a fun and compact performance wheel with the ROCKET HAWGS. Essentially just a smaller version of the iconic Biggie Hawg this wheel is 63mm tall and features a very wide and supportive core that will help stabilize the surrounding urethane. This wheel will have great roll speed for its size, and will be very controllable for stand-up slides, and slashes due to the small size but proportionally large contact patch that is around 50mm. Tracer Hawgs, the perfect Freeride wheel for all your sliding needs. Trace every corner with thick thane lines on this centre set Freeride wheel. 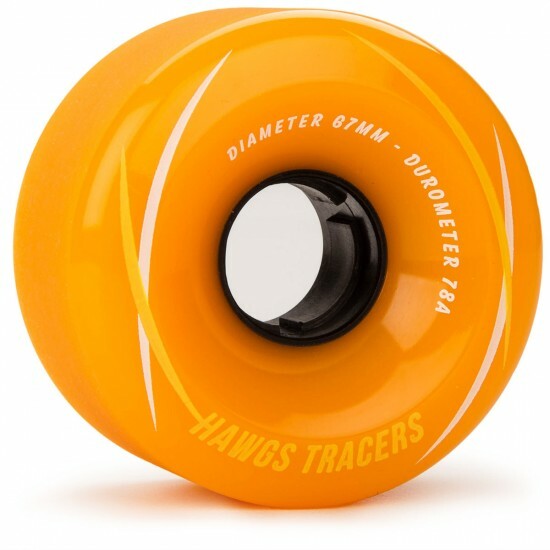 Tracer Hawgs are a 67mm x 78a wheel which features freeride specific urethane for long predictable slides. Tracers are available in 5 colour options so you can mix and match your set-up or run one solid colour. Trace every corner with thick thane lines on this centre set Freeride wheel. 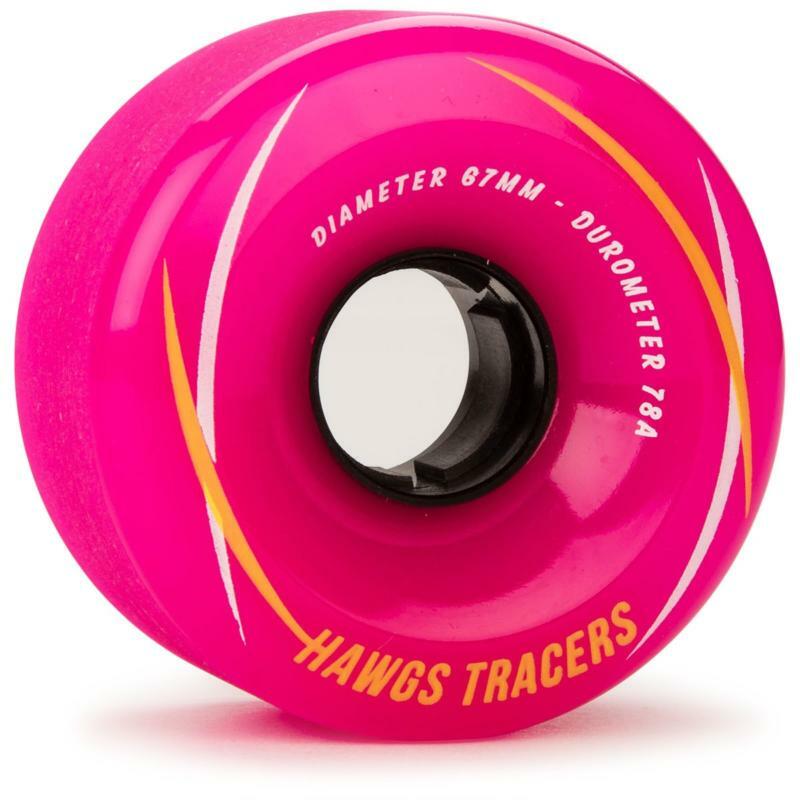 Tracer Hawgs are a 67mm x 78a wheel which features freeride specific urethane for long predictable slides. Tracers are available in 6 colour options so you can mix and match your set-up or run one solid colour. The Hawgs Venables 62mm x 90a Wheels will help you tackle rocks, cracks and any other unfortunate obstacles that might halt a smaller size wheel. Powerslides will remain smooth as ever and flatspots will be a thing of the past. Add this to your big-boy cruiser board and go hit the town! In case you were chasing the old street Hawgs these are the same amazing wheel just with a different graphic! New colors in OJ’s classic Mini Hot Juice cruzer wheel to spice your board. Mini Hot Juice are perfect, smaller sized, cruiser wheels. A nice, soft 78a formula in a compact 55mm shape. Excellent for fast transportation with minimal pushing. The soft, 78a formula makes the roughest roads seem smooth and they are great for downhill riding. They are soft and grippy so these wheels aren’t meant for power slides. Mini Hot Juice are perfect for putting on a regular street deck so you can cruise fast and smooth on rough ground and still be able to pull off tricks. Super Juice–the evolution of OJ’s super classic Hot Juice cruiser wheel– is finally here! Straight out of lab, Super Juice features a new reinforced plastic core and completely redesigned chip-resistant shape, all on our classic ultra buttery 78a urethane. Super Juice–the evolution of OJ’s super classic Hot Juice cruiser wheel– is finally here! Straight out of lab, Super Juice features a new reinforced plastic core and completely re-designed chip-resistant shape, all on our classic ultra buttery 78a urethane. Powell-Peralta often has runs of interesting and different urethane formulas poured in the shapes that you love. This version of the Powell-Peralta Snakes is poured in a 75a formula that leaves brilliant red lines on the ground, super fast and will slow you down faster than our other formulas. It is much less durable than our Soft Slide Formula, or SSF PRO seen in our other wheels, but the speed and ‘thane lines will have you drooling for more. This formula is substantially stickier (same formula as the PP Race wheels) and will leave BIG ‘thane lines on hot days. It’s a wheel for faster and more technical freeriding and sliding. 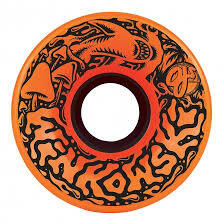 The new Byron Essert wheel from Powell-Peralta. This wheel is a freeride based wheel with a centre-set core that allows you to flip it for even wheel wear, and with large radiused edges for smooth slides. This new Byron wheel features 75a Soft Slide Formula PRO, which has more traction than the standard 75a SSF which is found in Snakes and you’ll find yourself gripping through corners you didn’t think you could, but still sliding smoothly when you want it. Byron is an all around downhill skater and wanted a wheel that could both grip canyon corners, and slash and slide through the grippiest neighborhood. We’ve delivered. One of the best wheels in the game! The 72mm Kevin Reimer wheel from Powell-Peralta is an all-around DH performer. In 80a, and poured in the red race formula, this wheel has substantially more traction than our other freeride wheels. This is a downhill race wheel with the skin on, and then can serve you as a fast freeride wheel afterwards – Truly the best of both worlds. This is the new version that comes with the black H5 fibre infused core, and a new “inset” lip that will let the wheel grip more, and wear better. We know you’ll love them. The Powell-Peralta 75mm Kevin Reimer wheel is an ALL-OUT race wheel. It is a new concept on wheel design that features a massive inset lip that will give you huge traction, better wear, and a narrower track width on your trucks. This is NOT for sliding casually, or for cruising the streets – It is for racing World Cup level tracks and taking home podiums. This is not your average DH wheel. It is meant to have tremendous traction when new, and you will not be easily able to slide it. In order to slide the wheel, you should enter the corner as fast as possible, commit to the turn, grab rail, load the wheel up, THEN slide it. If you try to throw a pendulum slide, it will probably buck you off when fresh. This is an ALL-OUT race wheel that is meant to win races, not casually skate down hills. Once the skin is gone, you will find this wheel to slide very smooth, and will grip substantially more than other wheels, even without the skin – this is due to the inset lip. Choose the 72mm Kevin Reimer if you want to slide corners, and do some fast freeride. The 72mm Kevin Reimer wheel from Powell-Peralta is an all-around DH performer. In 75a, and poured in SSF PRO, this wheel has substantially more traction than our other freeride wheels. This is a downhill race wheel with the skin on, and then can serve you as a fast freeride wheel afterwards – Truly the best of both worlds. This is the new version that comes with the black H5 fibre infused core, and a new “inset” lip that will let the wheel grip more, and wear better. We know you’ll love them. Snakes are the softest of the SSF/Soft Slide Formula family. Built for high speed control and extra roll on any terrain. Rail corners, slash driveways, cruise them and drift them. Snakes will roll farther with every push, slide easier, hook up more smoothly, and last longer. Rider Approved Designs introduces the Adam Persson Influence wheels. Taking inspiration from Thor and viking lore, this wheel is meant to bring down the hammer! It features a unique shape, designed to maximise grip in every turn. Push it sideways, and you’ll be controlling your speed so you can make sure you hit that apex. This pro model features the Crown Core, a 70mm diameter and a 56mm contact patch. The small hub offset allows the inner lip to flex for maximum traction making it a good “I like to go fast down hills, freeriding type of wheel.” This wheel is designed to rally any bend you come across. Be bold, be brave, and bring down the hammer with the Adam Persson Influence. 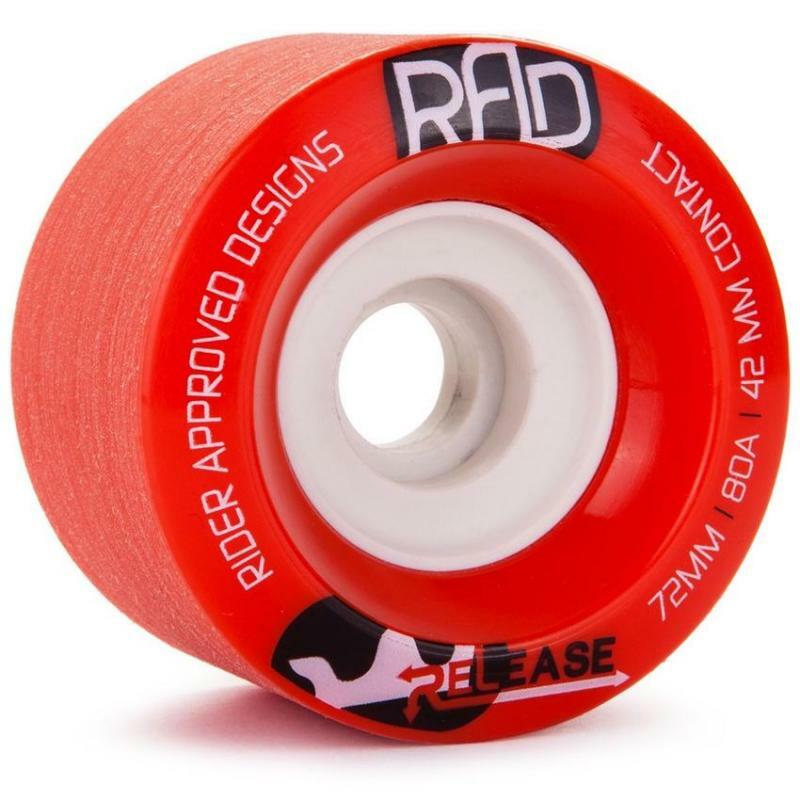 Rider Approved Designs (RAD) has taken apart the typical longboard wheel in order to create the RAD Advantage 74mm Wheels. The RAD Advantage wheels are designed to grip, be fast and give an advantage over all other racers. The large core allows for a higher top speed and a greater roll momentum. 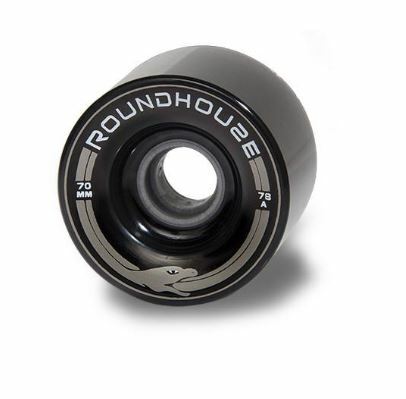 The high rebound and durable urethane gives grip and liveliness most riders crave in a wheel. All of these features combined, produce a wheel riders will be flying down the hill, gripping corners, and even bouncing out of them to get to the finish line first. Once broken in the RAD Advantage longboard wheels will provide a smooth drift as well, giving you the best of both worlds. If you are looking for a product that will give you the upper hand in race situations or simply allow you to roll longer and smoother than other wheels then pick up a set of the Rider Approved Designs Advantage. The 74mm Advantage gives you all the edge you neet to control your direction and speed. With a 58mm contact patch, supported flexible lips, these wheels allow maximum grip on the pavement without compromising mobility or speed. Built from the “Crown” core out you can be guaranteed the smooth slide you’ve been looking for. With three points and two valleys to section the wheel inot distinct sections, chatter and vibrations are eliminated. Made out of material 10x stronger then traditional cores, the Crown doesn’t deform under weight maximizing your potential roll speed. The RAD Feather 63mm x 82a Wheels gives everything needed to maximize sliding. The smaller, versatile shape is ready for anything from city crushing to downhill freeriding. The wheel is designed to have fun and maximize your ride on any terrain you may encounter. The Feather comes with a stone ground finish ready to slide right out of the box. With a proprietary urethane formula, the Feather is ready to paste urethane up and down your local slide spot. The Glide comes with a stone ground finish, ready to slide right out of the box. At the heart of it all is the Crown Core. With three points and two valleys to separate the wheels into distinct sections, chatter and vibrations are eliminated. The Crown Core doesn’t deform under weight, maximizing your potential roll speed. From the flat ground to the steepest hill, the Glide will ensure a great ride. Available in 78a (white), 80a (red), and 82a (blue). In this package deal you get two sets of the RAD Glide slide wheels! Specify which duro you would like in the customer comments section of your order. The Glide comes with a stone ground finish, ready to slide right out of the box. At the heart of it all is the Crown Core. With three points and two valleys to separate the wheels into distinct sections, chatter and vibrations are eliminated. The Crown Core doesn’t deform under weight, maximizing your potential roll speed. From the flat ground to the steepest hill, the Glide will ensure a great ride. Available in 78a (white), 80a (red)..
2 sets of your favourite slide wheel at 1 amazing price! 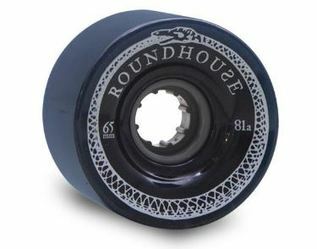 Rider Approved Designs (RAD) has taken apart the typical longboard wheel in order to create the 72mm RAD Release. This deal is for 2 sets of wheels – only red (80a) available! Rider Approved Designs (RAD) has taken apart the typical longboard skateboard freeride wheel in order to create the 72mm RAD Release. Rad Release x 3 Set Deal! 3 sets of wheels for less than the price of two… what could be better? This deal is for 3 sets of wheels – only red (80a) available! Butterballs are the original Sector 9 Shredthane wheel. A centre set supportive core helps you in rotating the wheels to keep them wearing evenly as you shred them into oblivion and leave thane trails all over your favourite hill.